KDC Electric Maintenance Repair Inc. welcomes you and provides this information about the services we offer in and around the area of Naples, Florida—including Marco Island, Estero, Bonita Springs, and South Fort Myers. KDC Electric Maintenance Repair is a fully licensed and insured electrical contractor meeting the electrical and wiring needs of local residential and commercial customers for the last 20 years. KDC is your factory-authorized Casablanca® repair contractor, with the experience you need to inspect electrical systems and circuits, install a number of different electrical wiring and fixtures, perform routine electrical maintenance, and ensure surge protection for sensitive and important equipment in your home or business. Electricians at KDC Electric Maintenance Repair provide excellent customer service and get the job done right the first time. We use the best products, to ensure a quality job that is safe and lasts. You can count on KDC Electric for our clean, friendly, informative, prompt, and reliable service. Check out our list of services and let us know how we can help you with your electrical work today. 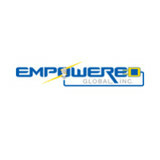 Empowered Global is an electrical contractor that specializes in residential electrical service work, residential remodels, and commercial electrical service work in Bonita Springs, Naples, Estero, and the surrounding areas. Our primary focus is to provide our customers with quality electrical service work using our expertise, attention-to-detail, and unparalleled customer service. By putting our customers first, we are able to establish professional relationships with homeowners, business owners, contractors, realtors, and property managers to provide them with top-of-the-line electrical services and a positive experience like no other. 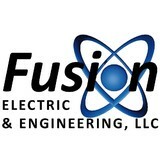 Fusion Electric & Engineering is a full service electrical contractor based on SW Florida and is uniquely positioned in the market by having in house professional engineers on staff to bid and oversee your projects guaranteeing your project will be done correctly. Can your current electrician offer the same service? Your property and your time are the key to any good service call, and at Dan House, both are foremost in our minds as we set up a service call with you. Initially, we’ll schedule a time to meet with you in your home that’s truly convenient for you but our commitment doesn’t stop there. The real difference between Dan House and other residential electricians is the quality of our people. Because each Dan House employee is carefully screened for character, integrity, and skills above all other factors, we provide the very best service quickly. You won’t find outsourced work that won’t meet your ongoing needs with us. A recognized leader in residential electrical services for more than fifty years, Dan House has been helping redefine high standards for nearly half a century. From a simple wiring job to a complete renovation, we’re happy to meet your residential needs, whatever they may be. Contact us today to learn more about how we can help. Cypress Home Technology offers custom design and installation of home theater systems, home automation, multi-room audio, and electronics integration for residential and commercial markets. We develop home automation solutions that enhance our client's lives while tailoring technology settings that increase business productivity and efficiency. We'll craft beautiful spaces that will enhance your life by making your home and office easier to manage. Our integrated AV and control systems are custom designed and crafted to meet our client's needs, budget and preferences. Our comprehesive services offer security system design, lighting for indoor and outdoor spaces, wireless technologies and customized technology solutions. Best Home Services prides itself on being the air conditioning, electrical and plumbing company of choice for homeowners all across southwest Florida. We have been servicing the region for more than 35 years and have built up a sterling reputation that has helped our business grow every year. We provide a variety of services in the residential, commercial, industrial, and facility sectors. We provide free estimates on any and all potential work. We also offer 24 hour emergency services including holidays and weekends. We pride ourselves on field expertise and unequalled customer service. This means we respond IMMEDIATELY to all communications and needs of our customers and get the job done right the first time, every time! 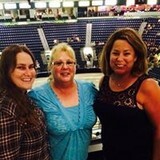 We are fully licensed and insured and our management team has experience in South Florida since 1985. 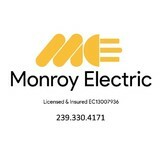 Servicing SW Florida for all your electrical needs with over 16 years experience in the SW Florida area. We maintain quality, respect, and feel good about a job well done. We work hard because thats who we are. PRIDE. QUALITY. RESPECT. A generator protects your home from a power outage. Using clean, safe natural gas or propane, the generator creates electricity that doesn’t depend on the power company. When the power fails, your generator will start within 10 seconds. An automatic switch disconnects your home’s electrical circuits from the utility company, and safely connects them to generator power. The entire process is automatic and takes just a few seconds. Once normal utility power is restored, your generator automatically shuts down. Your generator will run for days or weeks at a time, if necessary. Whether you choose to run the entire home, or just some essential circuits, your Tropical Generator engineer will explain all of the options to you. Call Tropical Generator today at (239) 206-4509 for a free telephone estimate and info. Working with electricity isn’t generally a do-it-yourself kind of task. Small jobs, such as swapping out a lightbulb, are safe and easy enough, but intensive electrical work is better left to a professional Naples Park electrician. When you consider the things that can go wrong, from fire to serious injury, hiring an electrical contractor seems like a wise investment. If you’re in need of a residential electrician in Naples Park, FL to help get your household’s electricity in tiptop shape, read the following information to help you find the most qualified professional for your job. What do licensed Naples Park electricians do? An electrical contractor plans, installs and repairs wiring in structures. He or she works closely with the home’s general contractor or remodeling contractor to determine the specific electrical needs for the project and to ensure that the wiring will meet Naples Park, FL building codes. An electrical contractor’s job also includes installing and repairing fixtures, switches and other visible components of electrical systems. With today’s technological needs and advances, many electricians in Naples Park, FL also are trained to install fiber optic and coaxial cables for electronic equipment. Certain electrical companies may design and install data systems and wire for security features such as alarms too. Some Naples Park electrical contractors specialize in specific areas, such as HVAC, low-voltage appliances and systems and more, so be sure to ask about their training to see if it fits your project needs. Find a certified Naples Park electrician on Houzz. Narrow your search in the Professionals section of the website to Naples Park, FL electrical contractors. Here are some related professionals and vendors to complement the work of electricians: Lighting Showrooms & Sales, General Contractors, Solar Energy Contractors, Heating & Cooling Sales & Repair.